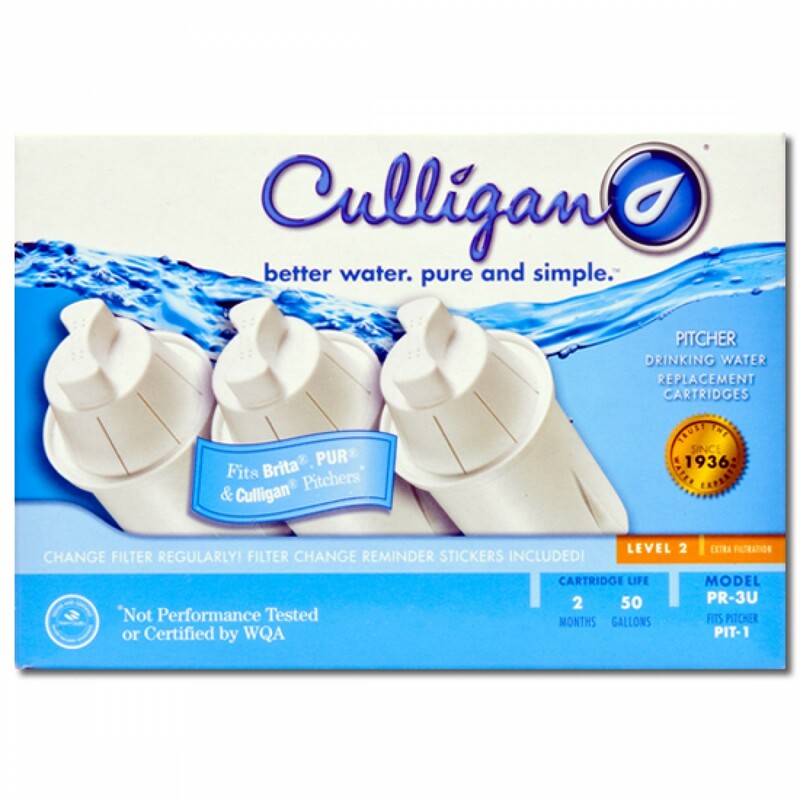 Each Culligan PR-3U water filter pitcher replacement cartridge in this 3-Pack is designed to fit universally into any Culligan pitcher or dispenser. By reducing impurities, including copper, chlorine and zinc, each filter will ensure you pour only the cleanest tasting water from your pitcher or dispenser. 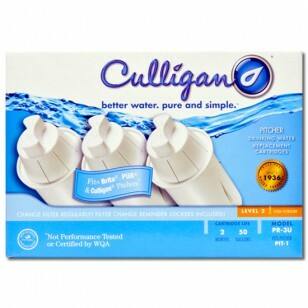 Order this 3-pack of Culligan PR-3U Universal water filter pitcher replacement cartridges online today! Ensures you pour and serve great tasting drinking water for months!